Undoubtedly one of the most famous and popular islands in the gulf of Thailand, Koh Samui proves itself to be a haven for holidaymakers every year. If you’re headed to Koh Samui for a beach holiday but want to mix in some culture too, here are 15 fantastic ideas to get you started. 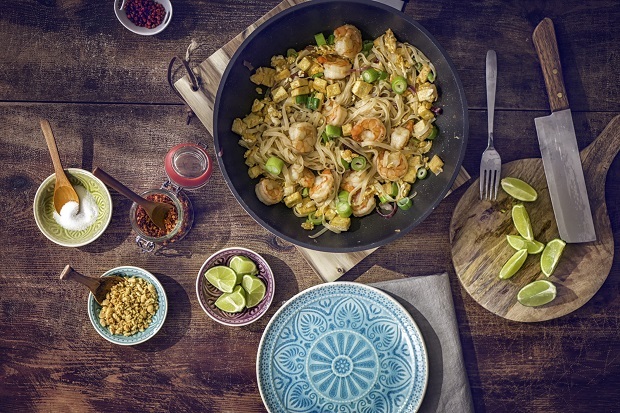 Once you’ve got a taste for Thai cuisine, you’ll want to be able to enjoy an authentic pad Thai at home. To learn the true skill behind these amazing flavours, book a local Thai cookery course in Koh Samui; popular cooking schools include SITCA and Pai Cookery Class. You’ll also find many of the spices and seasoning you need at the night markets. Whether you’ve undergone your PADI diving course or you’ve never stepped foot in a flipper, diving is open to anyone in Koh Samui. There are plenty of fully trained diving instructors to take you out to the coral reefs and explore the nature of the sea. 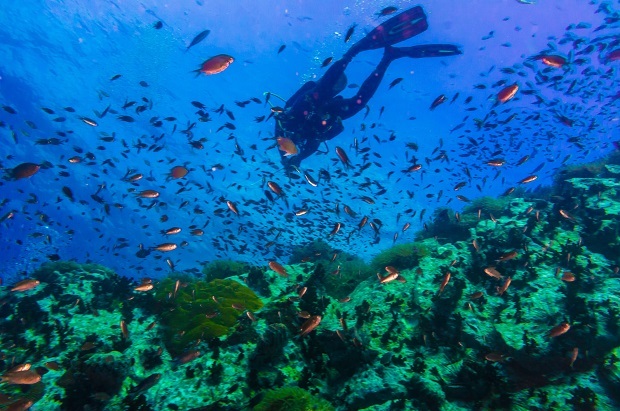 For certified divers, Discovery Divers offer daily trips to the top site in Thailand’s diving scene so that you can make the most of your time staying there. 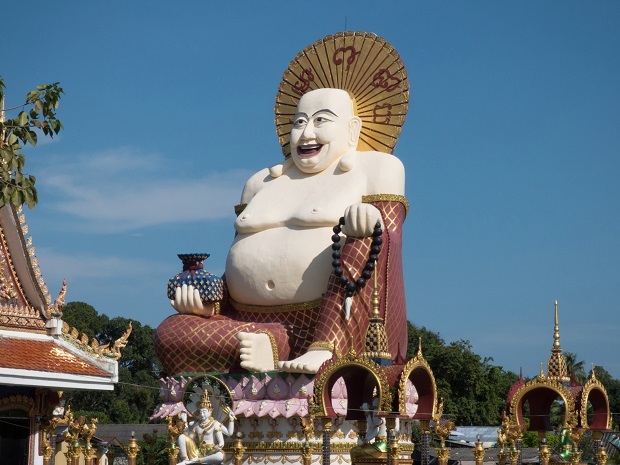 Another adventure you could go on if you aren’t sure what to do in Koh Samui could be visiting the Big Buddha temple. 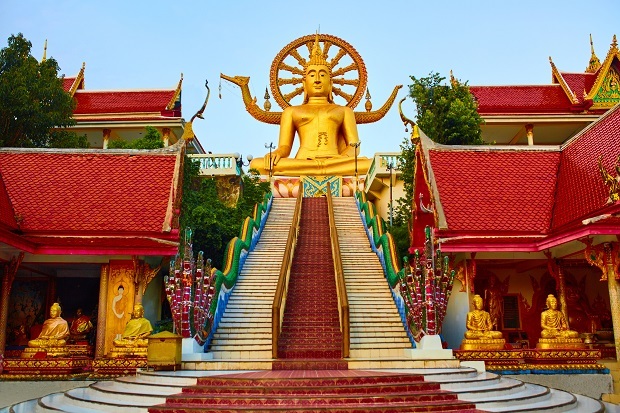 The 12-metre tall golden Buddha was built in 1972 and is located inside the grounds of the Was Phra Yai temple which translates as the Big Buddha temple. The golden Buddha sits in the subduing Mara posture, symbolizing the Buddha not giving into temptations presented by the Mara, a demon that tries to tempt the Buddha with beautiful women. It’s a great day out and there are shops and fortune tellers in the area too if you’re looking for souvenirs or a spot of soul searching. Hin-Ta and Hin-Yai is a popular visiting spot for tourists in Koh Samui, also popularly known as the Grandfather and Grandmother Rocks. The rocks are well known for resembling male and female genitalia; thus they are known as Grandpa (Ta) and Grandma (Yai) respectively. According to historians, the rocks were formed millions of years ago due to wind and water wearing them away, resulting in the unique rock formations today. Another theory goes that the rocks are the transformed bodies of an elder couple known as Ta Kang and Yai Riam. A slightly stranger culture trip, certainly, but definitely worth a look! If you can tear yourself away from sunning yourself on the beach you could get a really good day out of visiting the Ang Thong Marine National Park, and what better way to top up the tan than on a boat? 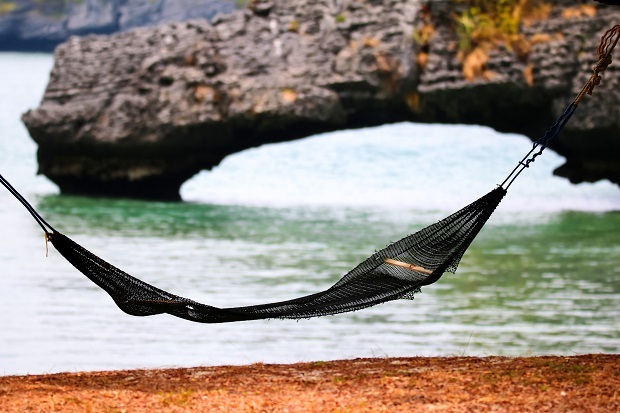 As part of the trip you will visit over 40 jungle islands that stretch across the Cerulean Sea, all with perfect untouched and uninhabited beaches and wildlife. These idyllic islands also provided the inspiration for Alex Garland’s famous novel The Beach. 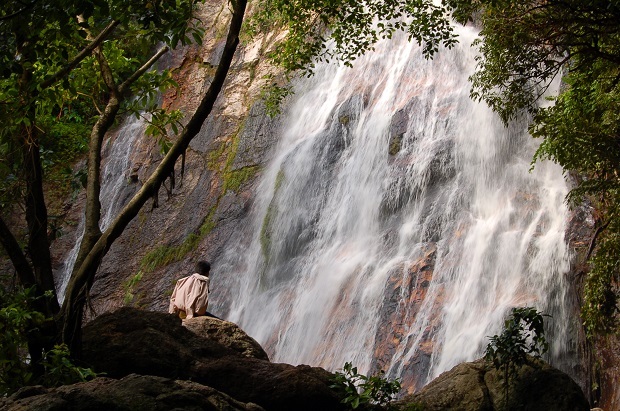 If you’re feeling adventurous, the best way to get to the beautiful Namuang Waterfalls is via moped, and just about anyone can hire one – they’re so easy to drive! So, moped hired (you can hire helmets too) get yourselves some directions and trek to the jungle to find the rainforests. You’ll need your swimming gear and some sensible shoes for the trekking part. Wat Khunaram is one of Koh Samui’s most remarkable temples and has become famous for its mummified monks. On display within the temple in an upright glass casket and surrounded by flowers, candles, incense sticks and fruit offerings is the body of Koh Samui’s most famous monk, Loung Pordaeng. Wat Khunaram is open daily during daylight hours and admission is free. It’s worth noting that all temples in Thailand require you to dress appropriately meaning long trousers or a long dress, shoulders covered and long sleeved shirts. The Secret Buddha Garden is a private sculpture park atop Pom Mountain. This is a trip that’s probably best carried out towards the end of your holiday when you’ve had a bit too much all inclusive action and need to work some of it off. The site is not an actual temple; it was built by a retired farmer called Khun Nim Thongsuk and is essentially a collection of statues including Buddhas, animals and the founder’s family. It’s a tricky climb to reach it but well worth the struggle. The Wat Plai Laem is a Buddhist temple located on the northeast coast of Koh Samui. This temple is actually built out on the water and is a living and active temple where devotees come daily to pay homage to Guanyin and the Buddha. The temple accepts donations and you will be given a bag of food to feed the fish if you so wish to. As this is a fairly new temple it doesn’t carry the history that some of the other sites do but it’s interesting to see a temple that’s still in use. If you like snake – or you’re just curious about snakes – then you might (might) want to visit Koh Samui snake farm. There’s a chance to see lots of different species of snakes and also witness a cobra show. This absolutely isn’t for the fainthearted and sometimes the snakes get fairly close. It’s not just snakes either; there are scorpions, centipedes, crocodiles, spiders and all sorts of creepy crawlies to make you look under your bed every night for the rest of your stay. This beautiful remote spot boasts a white sandy beach with crystal clear water that’s popular to tourists driving over to Koh Samui from the mainland. There are a few restaurants including Big John Seafood so you can make a whole day out of it with the family. If you need a break from the hotel and the crowds then this quiet and tranquil spot will help you find your peace again. 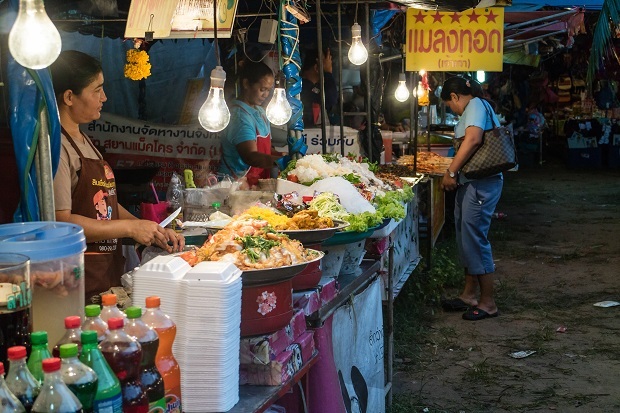 There’s a great choice of night markets you can go to if you’re not sure what to do in Koh Samui at night. Due to the popularity from tourism, there are night markets almost every evening of the week in different areas of the island. You could go to Fisherman’s Village Walking Street in Bophut or the Elephant Walk, also in Bophut. You could venture to Lamai Night Plaza, which is more like Bangkok’s Patpong night market, and a fun place to get your shopping in. Who doesn’t love a zip line? It’s an exhilarating way to see nature and the canopy adventure in Koh Samui boasts being the longest in Asia. You can imagine what it’s like to be a bird soaring over rain forests over one of the most beautiful islands on the planet – with speeds of up to 50 miles per hour it’s a good adrenalin rush and an exciting day out. It’s probably impossible to go to Thailand and not experience a Thai massage, but if you were thinking of trying to avoid it then think again. If your hotel doesn’t have its own spa, consider finding one and experiencing the rejuvenating experience of a Thai massage and spa treatment. You won’t regret it and you’ll feel so much better afterwards. Finally, venture outside of your hotel and eat out, especially if you aren’t sure what to do in Koh Samui at night. 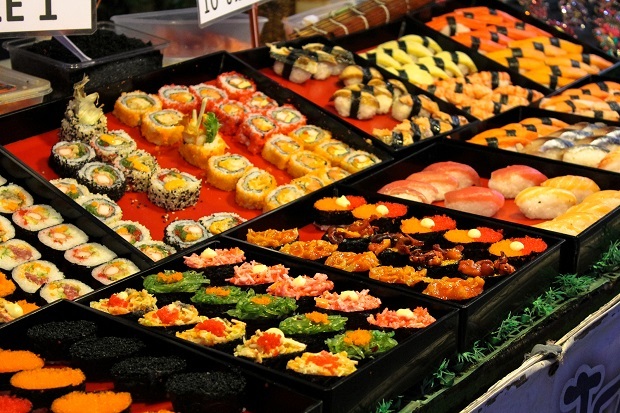 There’s so much amazing street food and fresh fish restaurants all over the place that are worth exploring that you’ll seriously be missing out if you stay in the confines of your hotel no matter how incredible it is!